oh, good then I can benefit from your research by looking at yours for ideas for mine, hehe! Your bento are just so nicely done. 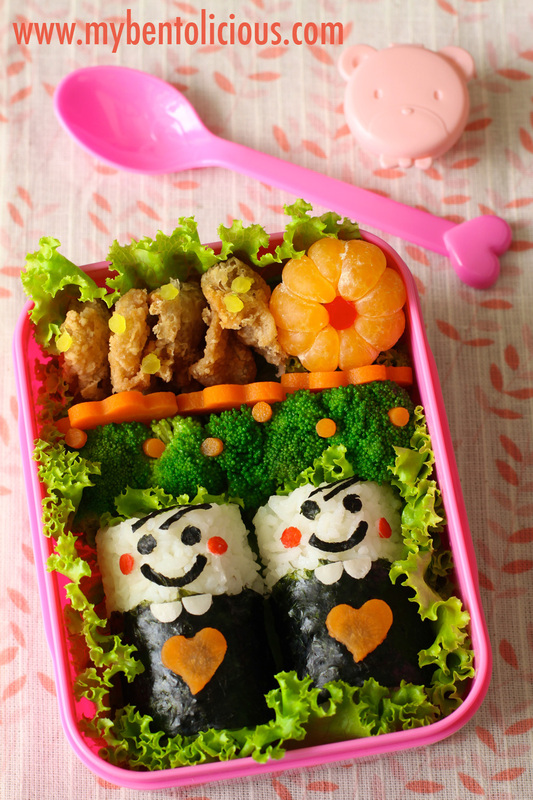 Another cutey bento from you..^_^.. you cut the carrot heart by mould or just using knife? I love the shape, pretty nice..
Hi, this is my first visit, you really have tremendous bento. I am glad to know such a wonderful blog.